Market indices continued to extend opening losses on Friday morning, amid a hike in global crude oil prices. 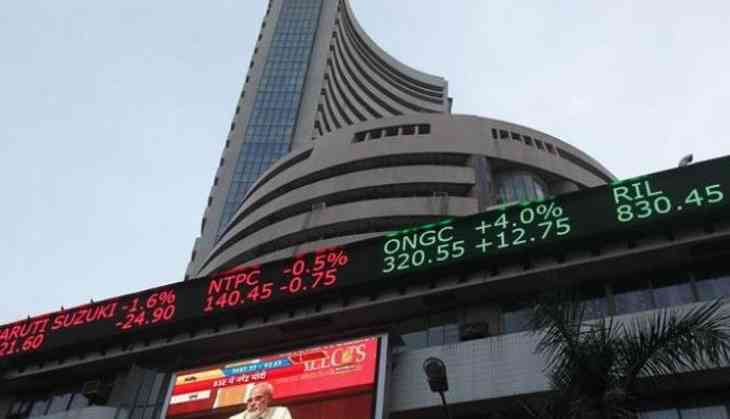 The BSE's Sensex traded 108.21 points lower at 35,040.91, while Nifty traded at 10,652.25, with all sectoral indices trading in red except FMCG. Shares of HDFC Bank, ITC, Reliance Industries, ICICI Bank and Infosys traded under pressure, while Bajaj Auto, Sun Pharma, Bajaj Finance, Bajaj Auto and Tech Mahindra gained in morning trade. Brent crude futures were at USD 79.53 per barrel, up 0.29 percent from their last close, reports moneycontrol. Meanwhile, the Indian Rupee traded at Rs. 67.71 against one US dollar.